About four months ago I took a trip to Key West, Florida. For those of you who didn't hear about the hurricanes that hit Florida this past year, the Keys were hit pretty hard. Water and sewage systems were damaged and most businesses were shut down for quite some time. It was the first Thanksgiving that neither of our kids could make it home so we decided to take a trip to the Keys for 4 or 5 days and take our minds off of our empty house. I love vegetables and have always been a big salad eater. 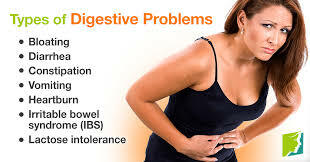 I had eaten out several times and all of a sudden one evening my stomach bloated beyond belief. I commented to my husband several times that I couldn't understand why I felt so bloated because I had only eaten a salad. I was also drinking the tap water at our hotel, probably not a good idea after all the sewage and water issues they had there not too long ago. This bloating continued for a couple of more days, mostly in the evening. As we headed home after our trip I kind of forgot about the whole thing and I didn't notice any further symptoms. About a week later after I got home I got what I thought was the flu. Diarrhea, nausea, and overall felt wiped out. Gradually I improved slightly, but diarrhea continued on. It almost seemed cyclic in that it would be at times just in the morning, maybe after lunch and again in the evening, then other days it would be all day long. I became extremely lactose intolerant, which I was never before. The stool was a yellowy looking floating type consistency, but after a month or so it often turned to watery. There was a lot of weird whiteish type stuff that would come out in between. Weeks turned into months of struggle with this ongoing diarrhea. I was terribly sick, had cramping and was nauseated, then other times I would be functional, but never normal. These are all classic symptoms of Giardia, a very difficult parasite to catch in a stool test. They need to be shedding at the time of collection and often times 5-6 tests will come back as false. Healing myself whenever possible is something I always try to do. I began by taking Berberine 250 mg, 3 times daily, I did notice an improvement in my symptoms, I should have continued on the Berberine, but I didn't think it was getting rid of it quickly enough and I decided to move on to something else. Miserable and exhausted and several months into this all day diarrhea I began to get worried so I went to the doctor. They took stool tests for bacterial infection, parasites, and a few other things. Oddly the tests came back all normal. Now I was really getting worried. After a few more weeks of misery, I resorted to going to a GI specialist. My experience there was very disappointing. The doctor really didn't' listen to me when I tried to tell him how I had gotten sick after that trip and that although the tests were negative I really felt I had gotten something while I was there. He felt my stomach and made a comment that a CT scan was needed because he thought he felt a stomach mass or something hard. Then he ordered a colonoscopy and took some blood and more stool. This was on a Friday morning so there was little hope of any test results over the weekend. Needless to say, I had a very worrisome stressful time waiting for those results. After numerous calls to the doctor, he finally called me back 9 days later. There was no stomach mass and nothing showed up in the other tests. When I got home Friday I called my naturopath doctor and told her what was going on. She said she had a product called Argentine 23 Colloidal Silver, that she thought could help me. The GI doctor scolded me before I left his office and told me not to try any natural remedies, but I thought to hell with him, he scared me to death and he took all the tests he could, so what could it hurt. I went over and picked it up. She instructed me to take a teaspoon full every hour the first day, then 7 times a day the next 2 days, finally going to 4 teaspoons a day for a month. In less than 24 hours my diarrhea completely stopped and never returned. I have to wonder if the universe was sending me a message loud and clear. I feel totally comfortable when I need to see my naturopath, but I am filled with anxiety when I had to see the GI specialist. The difference was in the emotional connection and feeling a part of my care, rather than being at the mercy of someone else. So just how does colloidal silver work? The presence of colloidal silver near a virus, fungi, bacterium or any other single celled pathogen disables its oxygen-metabolism enzyme, its chemical lung, so to say. The pathogens suffocate and dies, and is cleared out of the body by the immune, lymphatic and elimination systems. My naturopath suggested that I use Argentyne 23 Colloidal Silver. It is also available on Amazon. Argentyne 23 is a highly bio-available form of Colloidal Silver and it is very effective. Click on the link below to order. I feel that if we know ourselves and we spend time meditating and checking in, we will know when something needs our attention. Now, I won't argue that mainstream medicine has its place. If we break a bone or we need thyroid replacement, we definitely need a good doctor. We need to look at Western Medicine for what it is, science and fact-finding. But, in situations such as mine, I felt all other options should have been tried before ordering invasive tests. Further, I felt like I didn't matter, I didn't get listened to, and there was no personal connection to me at all. How can that make someone get well? Make sure you are an active participant in your healthcare. Don't be bullied into tests and fall victim to fear. I am presently in search of a doctor who is a combination of Eastern and Western Medicine. One who cares about not only the symptoms but also what is going on in the patient's life and what their intuition is telling them. We need to be responsible for our own health and not give up our power to anyone else. By being an active partner with our doctors we can achieve the best care possible. When it comes to natural supplements I am crazed. I love reading about natural medicines and trying out as many as I can myself to see how they work. If I can avoid a trip to the doctor's office you can bet I am going to. I came across berberine when I was suffering from an extended period of diarrhea. I just wasn't sure if I had gotten food poisoning, picked up a parasite, or had some kind of stomach bug. After 4 weeks it was becoming obvious I had an infection or something that needed a push to get out of my system. I tried a lot of different remedies and had some good success with activated charcoal, apple cider vinegar, and diatomaceous earth. Even with these remedies, it was wanting to come back and persisting longer than I wanted to deal with. I went online and went into research mode as I did not want to go to the doctor and get thrown on antibiotics. I have gone to great lengths to rebuild my gut flora and the last thing I wanted to do was wipe it out with antibiotics. During my research online I came across and a natural supplement called berberine. Berberine is found to be a potentially strong natural diabetes drug. This natural remedy has pharmacological properties that have been found useful for fighting a range of diseases and disorders. In a clinical trial, it was reported in the Journal of Clinical Endocrinology & Metabolism, that a group of 116 participants diagnosed with diabetes with moderately high glucose levels and never had treated diabetes previously, found that berberine achieved high improvements in their glucose levels before and after a meal. The group received 500mg of berberine two times a day for three months. It was found that this natural remedy could be an excellent treatment for individuals with diabetes. Further, berberine has also been linked with a variety of other health benefits. There are several good manufacturers of berberine one is Divine Bounty Berberine that is manufactured by a Good Manufacturing Practices (GMP) facility. It is worth realizing that a GMP facility is required to comply with the high standards similar to the ones set by the U.S. FDA for pharmaceutical manufacturers. This product contains high-grade pure berberine ingredients. It is free of nasty ingredients that customers often avoid. These include filters, additives, binders, preservatives, and GMOs. Go to Amazon to order your Devine Bounty Berberine here. Berberine can be a beneficial treatment for a wide variety of conditions. Sadly, only drugs like Viagra make the news, but if there were news of a natural wonder drug berberine would for sure be mentioned. Berberine is an alkaloid, a naturally occurring chemical compound, extracted from stems and roots of a variety of plants including barberry, a hardy shrub native to parts of Europe, Asia, and Africa. Because berberine is yellow in color it was often used as a dye. More than 2500 years ago Chinese and Ayurvedic traditional medicine used berberine for its antimicrobial qualities. It can protect the human body against bacteria, viruses, fungi, and other parasites. That is why berberine has a clinical history that involves treatment of diarrhea, intestinal parasite infections and serious eye infections called trachoma. More research is showing that berberine has a much broader clinical use. 1. Heart function - Berberine is being used regularly to regulate blood pressure. A 2001 study published in Cardiovascular Drug Reviews found that berberine can dilate blood vessels, and patients who were on an eight-week regimen showed improved heart function. The effect of berberine helps lower cholesterol, a major factor in heart disease. 2. Diabetes - Another study in Endocrine Society, berberine was beneficial in the treatment of type 2 diabetes because of its ability to lower blood sugar levels. 3. Intestinal issues - A recent study, published in the Chinese Journal of Gastroenterology, found that berberine can have a protective effect on intestinal damage associated with NSAIDs, that people take for pain relief. Berberine is available over the counter as a stand-alone nutritional supplement or in combination with other supplements products. There are several interactions between prescription medications associated with berberine. For example, berberine should not be taken by pregnant women who are breastfeeding or given to infants. Natural supplements that support good digestive health such as berberine make a name for themselves as that is where our health begins. Berberine can treat MSRA which is normally resistant to treatment with antibiotics. It can treat a wide variety of bacteria, candida, viruses, colds, diarrhea, and treats leaky gut symptoms. Watch this video below and get informed. I can attest that berberine really does work. Keep it on hand in your medicine cabinet whenever you have a cold, flu, or think an infection has set in.